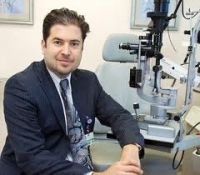 » Watch Next Video by Ehsan Sadri - What is the difference between LASIK and cataract surgery? Cataract surgery is highly effective, it's so effective that in the United States we do about 3.4 million every year. That number is going to steadily grow over the years as we have more baby boomers. The procedure is so effective that it takes about 5 to 10 minutes, it's out-patient, and generally cures the cataract so the patient does not have to worry about growing another cataract. The cataract surgery is so effective and is generally thought to be used without needles, sutures, or stitches, so the patient is very comfortable since it's painless.